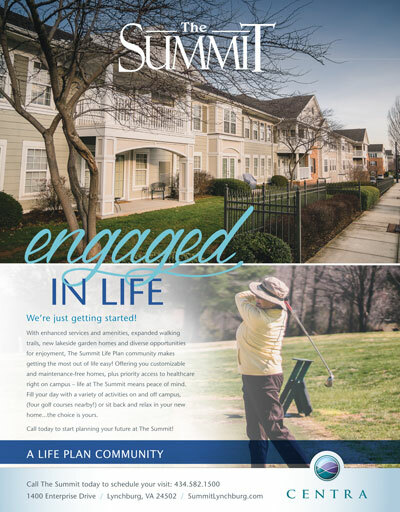 Owning a lake home, whether a full-time residence or weekend retreat, is usually the culmination of years of thought, planning and saving. A beautiful lake house is a dream realized, so why enjoy your property only during the daylight hours? Most systems are set up with the GPS location of the property, so they adjust to various light conditions throughout the calendar year. Another safety benefit, says Johnston, is that lighted steps, driveways and paths are less tricky at night. But the beauty aspect comes from highlighting the unique architectural elements of the home and property. 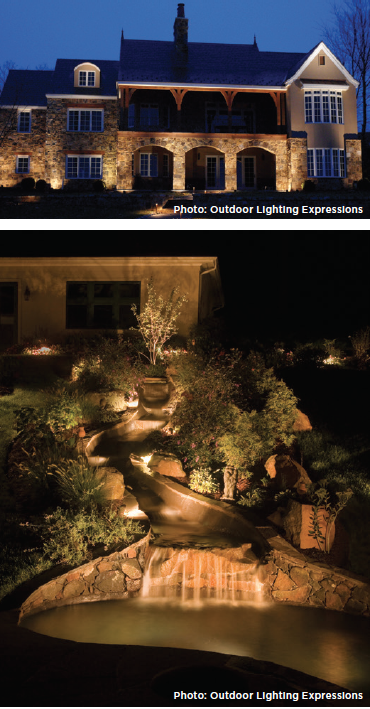 Great outdoor lighting is also a selling point, and enhances a home’s overall value, according to Johnston. 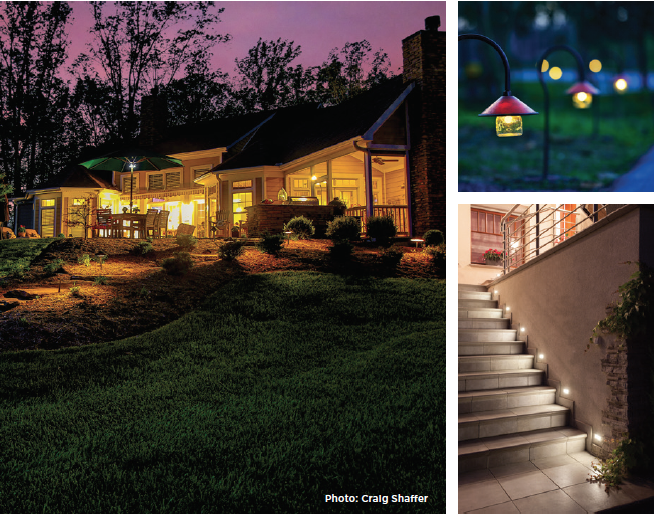 If you think outdoor lighting might suit your property but don’t know where to begin, read on, then wait for nightfall and grab a flashlight, pen and paper. Any good interior designer will tell you that lighting a space is about layering three types of light: overall, task and accent. The same guidelines can apply to outdoor lighting. Overall lighting illuminates an entire space, task lighting is used for a specific purpose (reading, lighting a path) and accent lighting—the icing on the cake—draws attention to an object or area. With this in mind, use a flashlight and walk your property at dusk, with a focus first on safety. What are the areas that need lighting in order for family and visitors to be safe? This would include any steps, paths, long driveways or tricky terrain, as well areas around the water, such as a dock. These areas should go first on your lighting wish list. If there are areas that need functional, overall lighting (a shed or boathouse, for example) note those as well. For task lighting, consider food prep areas like a grill or outdoor bar. Note favorite spots, like a bench or stone garden wall that would benefit aesthetically from illumination. Think about whether you’d like to light up your home from the lake side, visible to those visiting by boat. Finally, consider how you’d like to use your property at night. Do you envision long, lazy dinners on the patio, but need better lighting to do so? 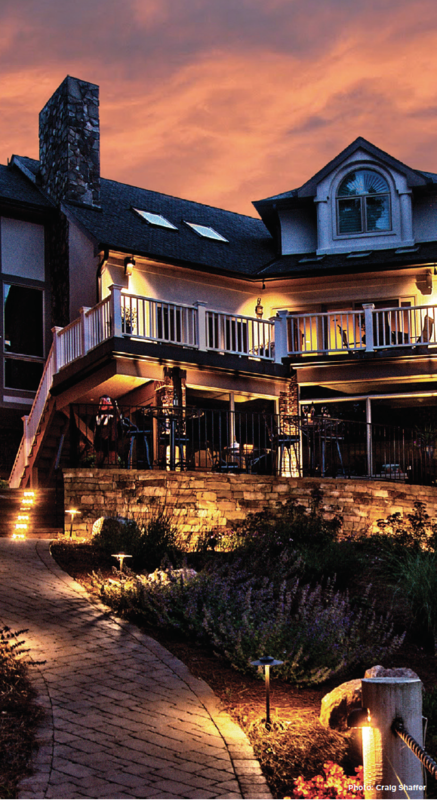 Physically walking your property at night can help crystallize some ideas in your mind, and with safety as number one, can help your prioritize your wants and needs for consultation with a lighting professional. Many homeowners shy away from LED at first mention, recalling the unnatural bluish glow of early LED bulbs. Instead of watts, LED is measured in Kelvins (K), and bulbs range from 1,800 K, which is very red in tone, to 7,500 K, which is a bluish white. Johnston advises sticking to 2,700-3,000 K for a warm glow, which is nearly indistinguishable from halogen, once the gold standard in outdoor lighting. However, LEDs have many benefits that halogen can’t touch, which is why both Johnston’s and Kerr’s companies exclusively install LED systems in new projects, in addition to offering conversions on existing halogen systems to LED. For outdoor use, LED lighting is the safer option because the fixtures don’t create much heat, cutting down on the possibility of a mulch fire in extremely dry weather. Another bonus? Because LEDs don’t emit UV rays, they don’t attract as many bugs, which is great for lights near doorways that are often opened and closed. LED technology has now progressed to offer color-changing options, which can be fun for limited use, such as at the holidays. Multiple lighting schemes that can be turned on independently of one another for different looks is also something to consider. While do-it-yourself systems may seem like a cost-effective option, it’s important to make sure they don’t use lower-quality materials like plastic that may wear out quickly. Professionally installed fixtures are made of high-quality materials like cast brass and copper, designed to weather the elements, so the age-old adage “you get what you pay for” certainly applies. A design professional can work with your list of needs and wants, and may have suggestions you never even considered. Kerr recalls a project at the lake where they lit up a floating dock from underneath; one of Johnston’s favorite projects was lighting up a large dock with more than 70 lights in a way that highlighted its unique architecture. If a lighting project isn’t in the budget this year, you can still bring some outdoor flair to your space by spending a small amount. Consider hanging inexpensive bistro string lights (like you might see at an outdoor café). It’s also fairly easy to create Ball jar lanterns or grapevine ball lights (grapevine or other natural materials in a ball shape with string lights wound throughout) that can be hung from trees to give off an ethereal glow. The addition of a gorgeous outdoor-rated chandelier or fixture to a covered deck, patio or porch can also light the night to bring a wow factor to special evening gatherings. Implement some of these ideas into your landscape, and you can enjoy the view, even after the sun goes down. When lighting a tree, light both the trunk and foliage, or the foliage will look like it is floating. Trees can also be illuminated from above with a downlight. In garden beds, place lights no closer than 20 feet apart, as you want the pools of light to guide the eye instead of continuous illumination. For garden walls, light should be close to the base of the wall to bring textures into focus. To highlight an element, like a bench, arbor or fountain, aim two or more lights at it, as the crossing beams reduce the harsh shadowing that occurs from a singular light.